On this episode of Unmistakably Star Wars Eve, Barb, Devin, and Jeremy sit down to talk about the lightsaber duel and its impact on Star Wars storytelling. 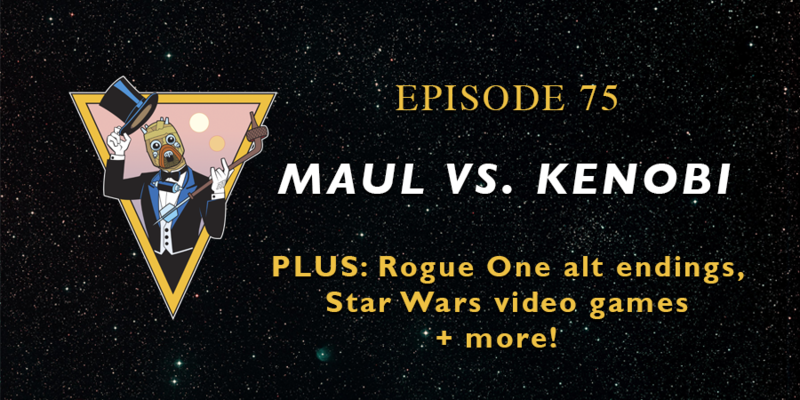 Why is it an important aspect of Star Wars and what does the recent duel between Maul and Kenobi teach us? What impact will video games have at Star Wars Celebration and beyond? The Unmistakably Star Wars team chats about the alternate endings of Rogue One. The amazing “I Will Follow” segment. What should we expect from episode 8 when it comes to lightsaber combat.